Why is their launch site in New Zealand? What does Kiwi company mean? Their assembly plant is in NZ, the largest sections of the rocket are made in NZ, and there is very little air traffic in the launch corridor at Mahia. 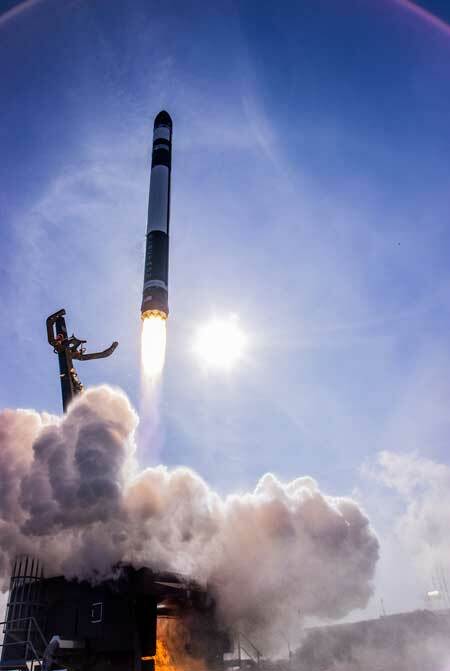 Rocketlab began as a NZ company, and has expanded into the USA. They are building a launch site at Wallops right now for US based launches. Kiwi is slang for New Zealander. Rocket Lab’s engines and avionics, the priciest parts of Electron, are built in Huntington Beach, CA in a factory building of impressive size. Hardly “window dressing.” RL has significant corporate infrastructure in both the US and NZ. The largest bits of Electron are made in NZ. The most expensive bits – engines and avionics – though, are made in the US in a big plant in Huntington Beach, CA. As you correctly note anent Wallops, RL’s American footprint continues to expand. You mean the BOEING site at 14520 Delta Ln ? You keep believing ! I wonder who chose the name? It probably used to be a Boeing site. Boeing still has facilities next door, but the 150,000 sq. ft. building at 14520 Delta Lane has been Rocket Lab’s U.S. HQ for almost two years now. It was in the papers. Boeing seems to be in the process of conducting a general recessional from the Greater L.A.-Orange Co. area. Their footprint in Huntington Beach has been diminishing for some time – hence the availability of the building now occupied by Rocket Lab. The drawdown in Huntington Beach is set to continue through at least 2020. It’s unclear whether Boeing expects to have any facilities left in HB after that. Boeing has also pulled out of a number of large facilities near the Long Beach Airport that it got as part of its acquisition quite awhile ago of McDonnell-Douglas. The MD-90 (renamed by Boeing the 717), the MD-11, the KC-10 and the C-17 all used to be built there. All those programs are long since concluded and the buildings have been either torn down or repurposed. One of them, in fact, is the HQ and manufacturing facility of Virgin Orbit. The only major Boeing complex still extant and doing reasonably well in the L.A. area is its satellite manufacturing operation in the LAX area. That, of course, was acquired from Hughes some years back. SpaceX’s Hawthorne plant used to belong to Northrop Grumman. Virgin Orbit’s and Rocket Lab’s major U.S. facilities have former Boeing addresses. SpaceX operates three launch pads at Kennedy/Canaveral and Vandenberg. Blue Origin has a pad at Canaveral. ULA will be yielding four of its six pads at Canaveral and Vandenberg as it transitions to Vulcan. Firefly Aerospace already seems to have dibs on the erstwhile Delta II pad at Vandy. The others will all find NewSpace takers. This list is hardly complete. NewSpace is, incrementally, succeeding OldSpace in many ways as the latter fades. One of the more noticeable such ways is in taking over physical infrastructure. I don’t foresee any OldSpace reversal of current fortune in the cards. A decade hence it is entirely possible that none of the remaining three legacy aerospace companies will have any consequential space-related operations left. For the mission? Someone at NASA one presumes. It is a NASA mission after all. And NASA is much given to naming things so as to produce pronounceable acronyms.